From design to completion, make us your 1st Choice! 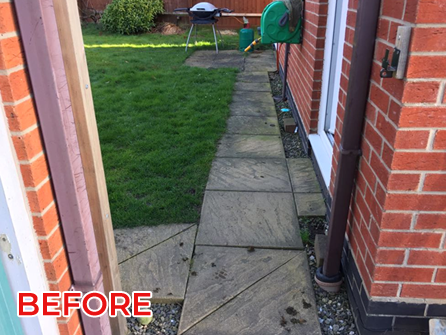 Brighten up your garden space with the addition of a beautifully designed patio by First Choice Paving Ltd.
Whilst adding character and charm to your garden, along with extra living space, the value of your home will also be increased. With many designs, styles and colours of materials to choose from, deciding can be a minefield. But don´t despair, discuss your ideas with a member of our experienced team and they will show you recently completed patios in your local area to give you some idea of how your garden and patio could look. Our team will also help you to decide on the finishing touches that will make your patio unique, such as balustrades, slopes, steps and decorative edges and borders. 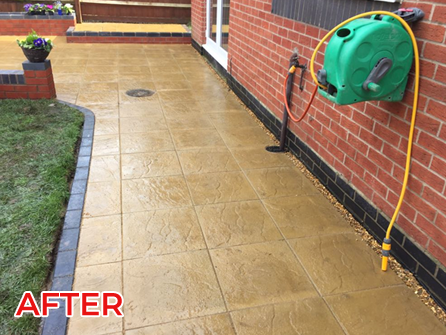 If you have a patio already and it needs tidying up, then contact our team who will be happy to discuss minor repairs and our jetwashing service that will spruce up your paving in no time and make your patio a more pleasant place to sit at after a hard day at the office. Our patios are available to residential customers in Telford, Bridgnorth, Ironbridge, Eccleshall, Market Drayton, Newport, Shifnal, Shrewsbury, Stafford, Wolverhampton and all surrounding areas. 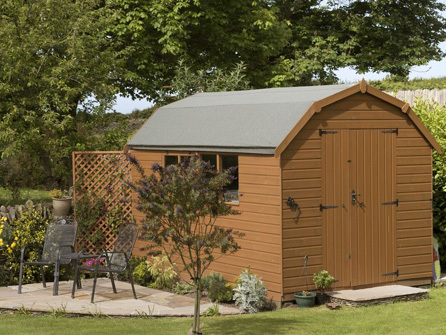 All our work is fully guaranteed and offered at competitive prices. 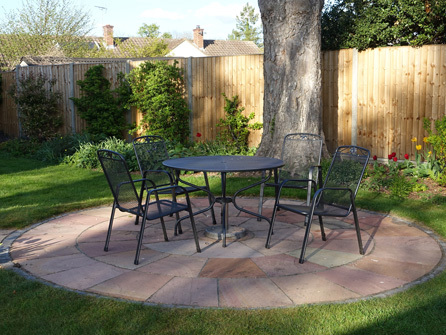 We offer free home visits to discuss your requirements and to look at the space we have to work with, so we can create a unique patio design to blend in perfectly with your property and its surroundings. So, from design to completion, make us your 1st choice for any sized patio, call us today on either Telford 01925 898475 or Shrewsbury 01743 817531, we are waiting for your call. &COPY;2018 First Choice Paving Ltd.